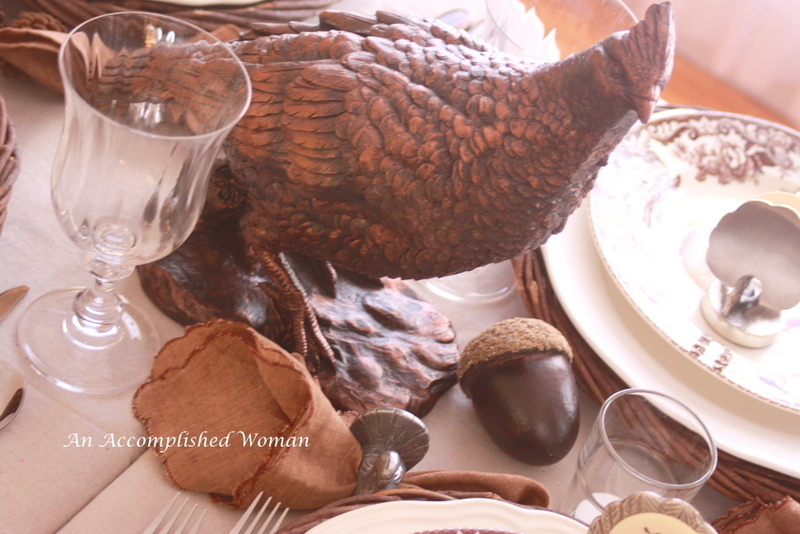 I know that Thanksgiving was last week, but I thought I would share the table because it was so pretty. Start with my centerpieces. I made two for the 12 foot long table. 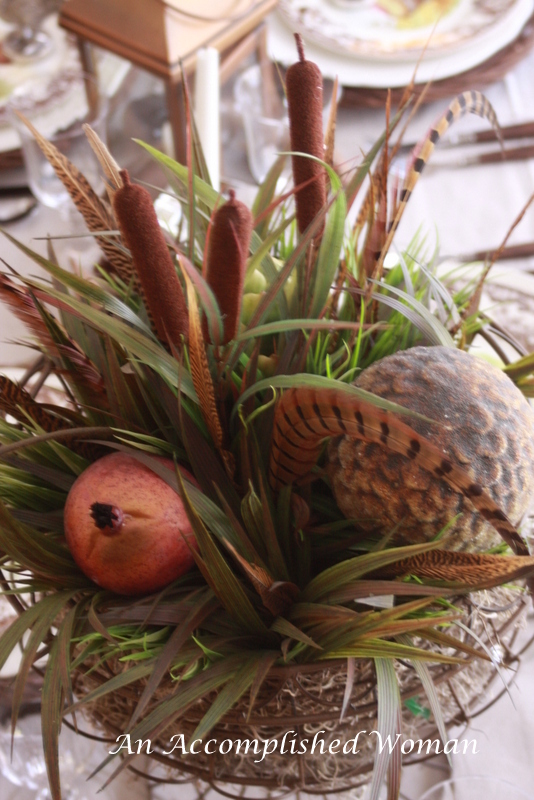 With pheasant feathers and fiddleheads, the centerpiece definitely set a dramatic table. 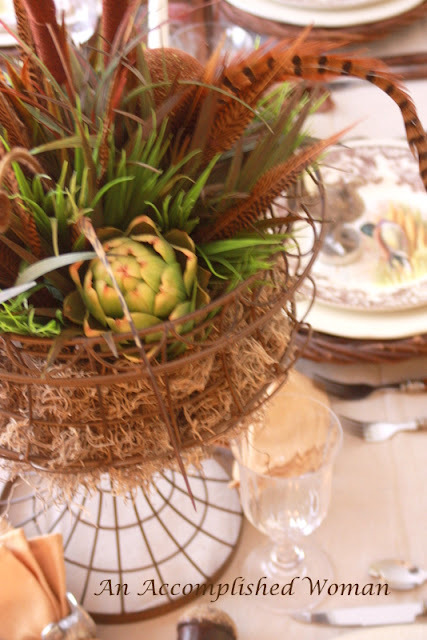 Pottery Barn wicker chargers continue the natural theme. Mr. Pheasant looking over the table. His coppery tone matches the lanterns on the table. 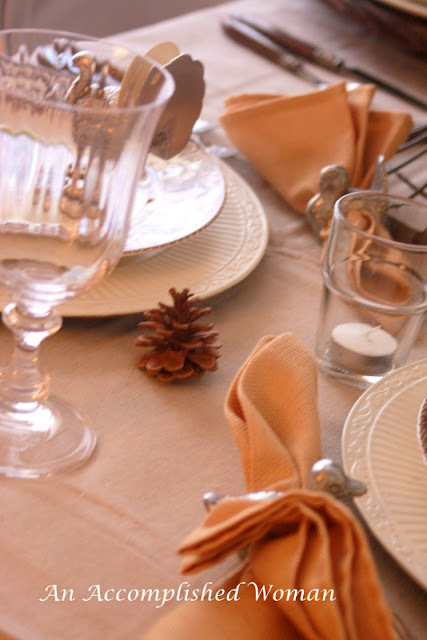 The tableclothes are new paint tarps that really give a nice texture to the table. 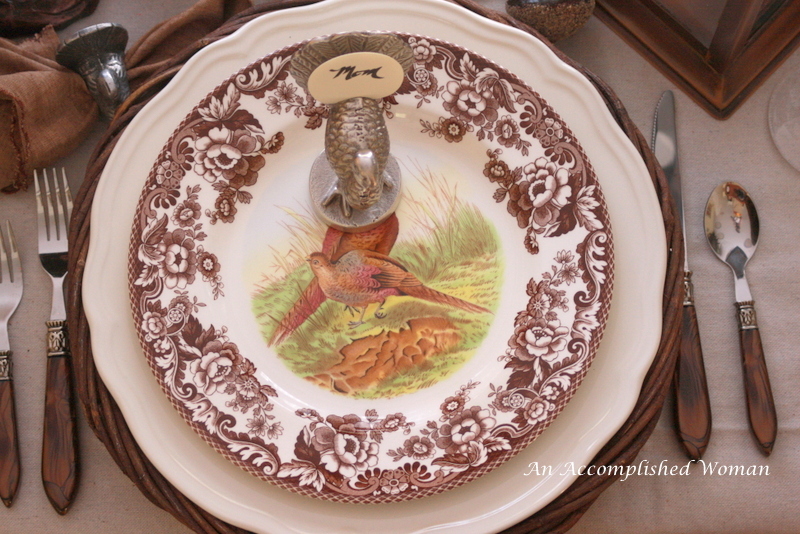 My Spode Woodlands dishes… I love these dishes. 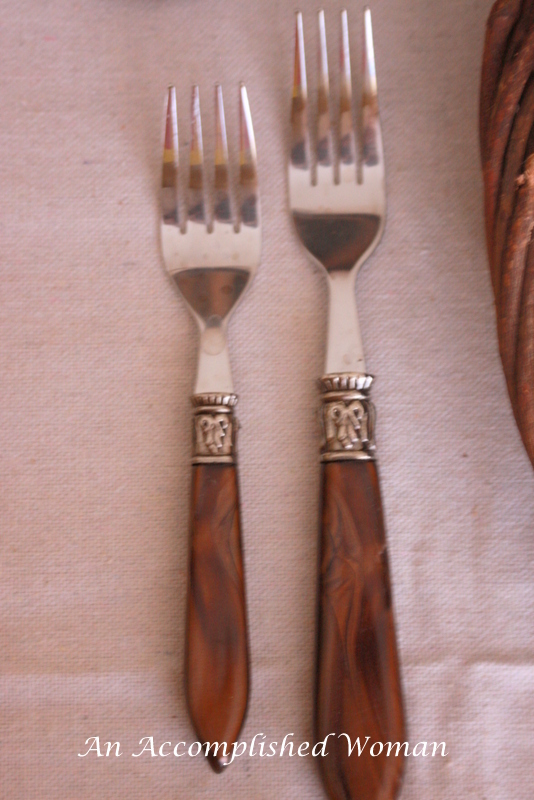 They are the perfect dishes for Thanksgiving. 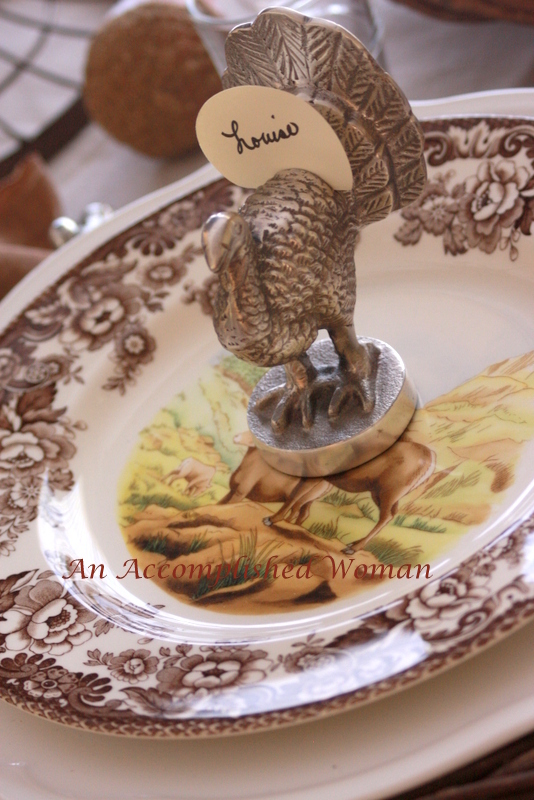 The Pottery Barn turkey place cards are my favorite. Pewter Duck napkin rings... so perfect. 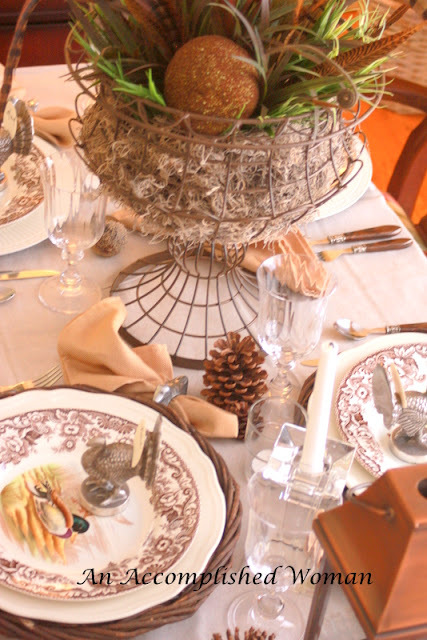 Lanterns and Acorns top off the table. 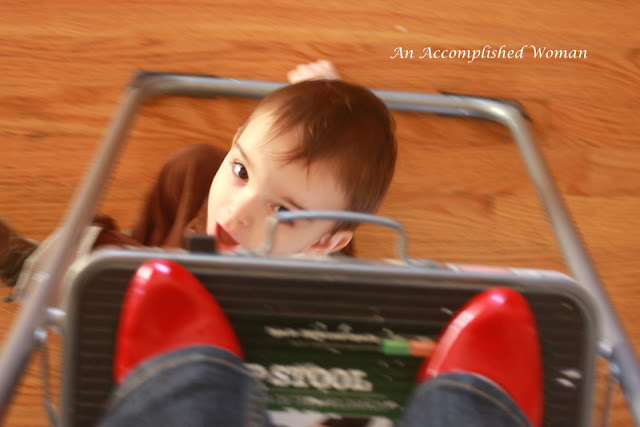 To get some great pictures, you sometimes need a step stool.... look what you might find underneath!!!! Why hello little one!!! Gorgeous table! 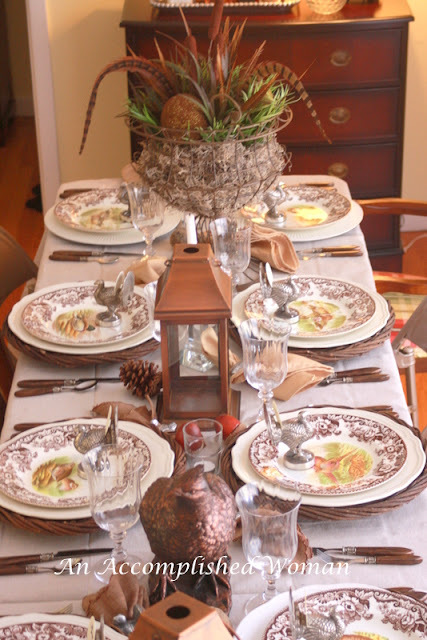 The centerpiece is indeed magnificent, and I always love to see the Spode on fall tables -- just perfect! Beautiful fall table! Spode Woodland is perfect for a Thanksgiving table. 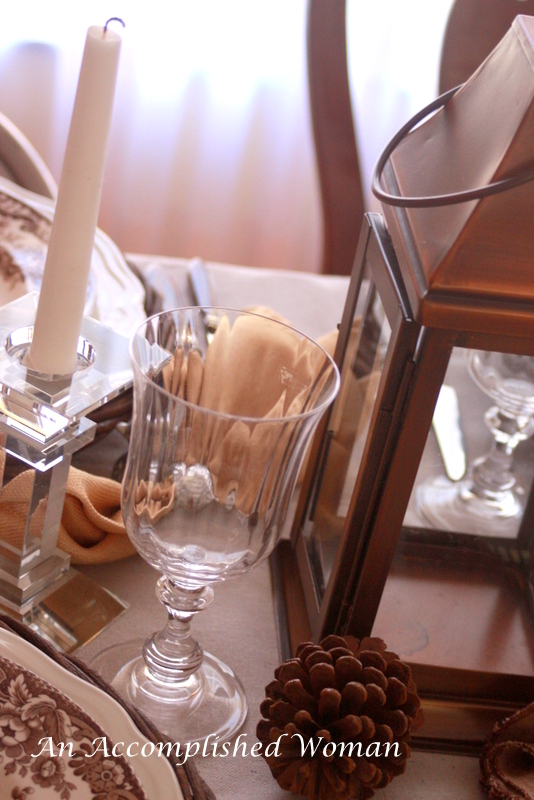 ♥ the centerpiece urns. Your table is absolutely gorgeous. 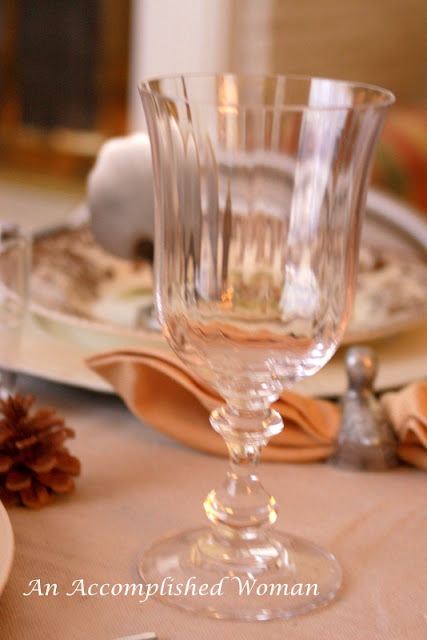 I too posted my Thanksgiving Tables on BNOP even though most are posting Christmas already. I used the Spode Turkey dishes but do have the Spode Woodlands pattern at our farm in S GA, I love that pattern as well. Love, love, love the turkey place card holders and read that you got them at Pottery Barn, were they a recent purchase? I am coveting them. Beautiful post. Outstanding... so much inspiration. Am surely bring back to Sweden. 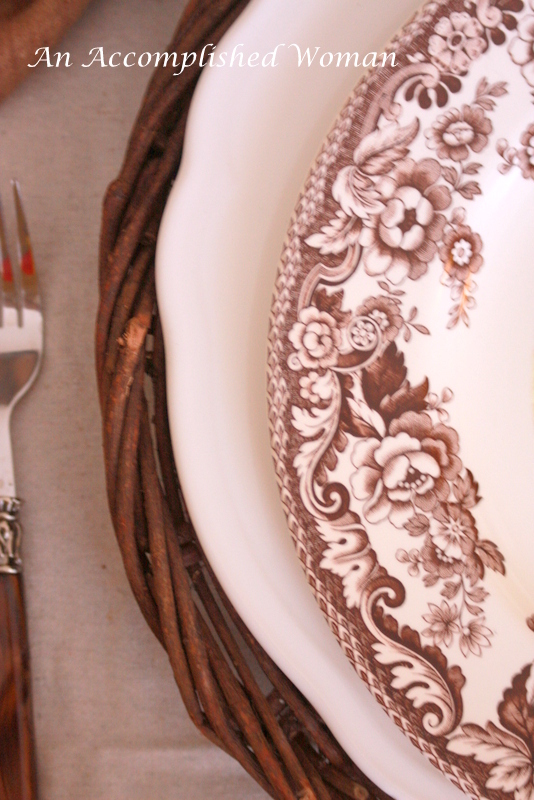 Your Spode is beautiful! 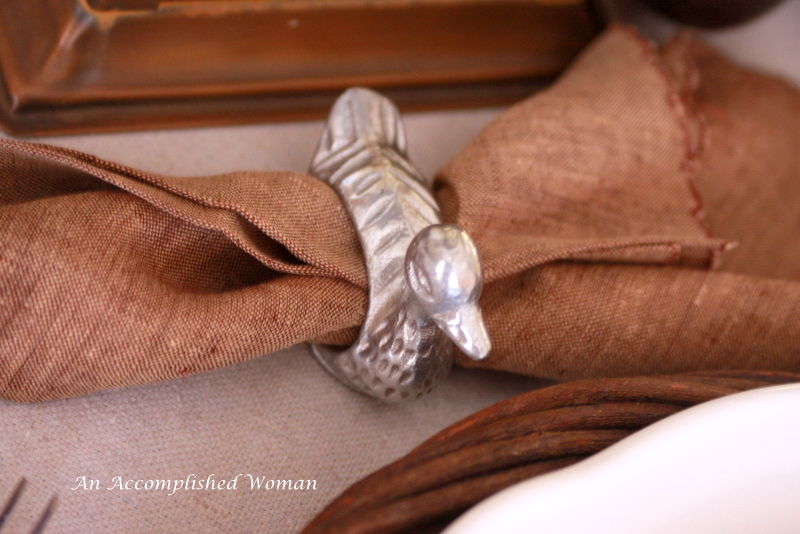 Love the flatware and napkin rings too! 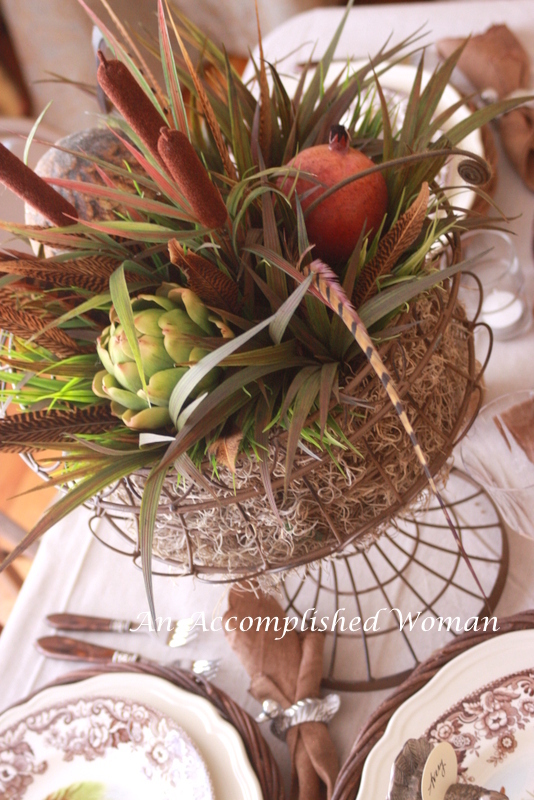 I'm giving you a very loud standing O on those centerpieces, lady!!!! What a great job!!! They are perfect for the Thanksgiving table, and I can see how you could add a few things to make them work for the Christmas season, too! Just beautiful! Your table was really a beautiful sight to behold!! !